WE ARE COMMITTED TO BUILDING A BETTER FUTURE BY DEVELOPING EDUCATORS GLOBALLY TO NURTURE STUDENTS WITH 21ST CENTURY COMPETENCIES. Situational analysis in markets provides us with the insight needed to design and tailor effective programmes that fit different contexts and integrate seamlessly with education systems. This combined with our experience across markets and our consulting solutions ensures that our clients stay at the forefront of developments in education and reap the benefits of our industry perspectives. The link between educator effectiveness and student learning is undeniable. Our aim is to develop and enhance the unique abilities of each educator so that they may eventually become self-sufficient in applying and adapting 21st century teaching pedagogies in classrooms. More importantly, the competencies of educators need to be sustainable. As such, we not only work towards finding unique solutions that cater to existing teacher abilities and beliefs but also ones that are aligned with market environments. As a result of today’s ever changing environment, there is a need to constantly shift perceptions and treat teachers as nation builders. To help enable this shift, teachers must be given opportunities to build on their experience and invest in their professional development. Educare plays our part by co-steering initiatives in partnership with stakeholders at every level of the education system, thereby achieving unified goals and our shared vision of developing future generations. THE QUALITY OF ITS TEACHERS. Mike Thiruman is one of the leading voices of education in Singapore, with a strong belief in the fundamental role of teachers to develop a successful education system. He has more than 20 years’ experience in education research, teaching, curriculum development, educational project management and professional development. He has been recognised for his passion and continued contribution in the field of education, recently being invited to join the Technical Advisory Group of the Global Initiative on Education led by the United Nations Secretary-General Ban Ki-moon. Till 2004 Mike served as a Senior Specialist in the Gifted Education Branch in the Ministry of Education, Singapore, when he joined the Singapore Teachers’ Union (STU) fulltime. As STU General Secretary, Mike serves in various committees in the Labour Movement in Singapore and internationally. 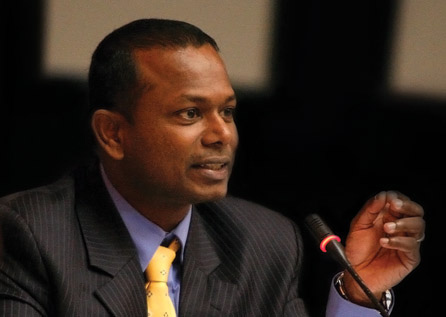 He is the Vice-Chairman of the Public Sector Industrial Relations Committee and he is also the Vice-Chairman of the Asia Pacific Regional Committee of Education International. Mike was also elected to the Executive Council of the Singapore National Co-operative Federation. His commitment to the advancement of education is demonstrated through his work globally. Mike has developed and organised Professional Development programmes as well as trained teachers and educators in areas such as Cooperative Learning, Critical Thinking, Problem-Based Learning, Active Learning, Brain-Based Learning and Differentiated Instruction amongst others in Singapore, Bhutan, Russia, Libya, Indonesia, the Philippines, UAE, Vietnam and India, in addition to conference presentations in Russia, USA, Australia and Canada. The combined influence and experience of our partnerships help us deliver robust programmes. OUR SERVICES ARE DELIVERED BY OUR TEAM WITH YEARS OF EXPERIENCE ACROSS GLOBAL MARKETS. WE DELIVER CUSTOMISED SOLUTIONS FOR EDUCATIONAL EXCELLENCE. We believe our strengths form the core of what ultimately matters – to draw out and harness the immense potential within educators and learners to address the needs of the 21st century education system. Our education consultancy covers the complete spectrum of inter-connected services including situation analysis, leadership development, professional development, mentoring and coaching, impact and evaluation as well as transfer of knowledge. These programmes and services are geared towards developing educators who will ultimately be competent professionals, collaborative learners and transformational leaders. In addition, we are committed to collaborating and working with education leaders and institutions to enhance systems – reviewing policies, giving recommendations and working together to develop programmes. Our consultancy projects are all built around our framework of being holistic, systemic, systematic, scalable and sustainable. Technology is a key tool to help increase teachers’ capacity to provide the right level of support and adapt learning for a diverse group of students. Technology also helps provide teachers with continued engagement and development opportunities. It can directly support teachers’ abilities to continue enhancing their competencies by learning from online modules, in their own time, as well as through peer support and influence. The project focuses on developing a collaborative and self-directed learning portal for students using the Microsoft Sharepoint 2010 technology. This is a structured social networking portal which provides students with various “micro sites” features and tools for performing creative, critical and collaborative learning. The system allows teachers to assess, both qualitatively and quantitatively, the work and the learning processes of the students. PD Online is a collaborative learning and assessment portal to facilitate self-paced learning where teachers can learn independently, track their own progression and interact with other teachers in course-specific forums. This has allowed the teachers to evaluate the effectiveness of their teaching methodologies and share corresponding interventions. Many education systems not only face difficulties in recruiting and retaining their educators, they find it challenging to identify and match the right skills to their exact needs. Educare’s HR solutions addresses the need to connect schools and organisations to the right talent. We have since grown to become one of the leading manpower services in Singapore, with an established track record of providing professional, hassle-free and timely services to our clients. To date, Educare provides recruitment and HR solutions to more than 200 government organisations, statutory boards and educational institutions. We recruit, train and deploy teaching and non-teaching talent, people with the right skill-sets, aptitude, and attitude for all our clients. We also provide professional development and training opportunities to our staff to enhance their competencies and efficiency at work. Our intent is to develop long-lasting relationships, providing continuous support and service to our clients. Our Relationship Managers also have a solid understanding of the unique requirements and preferences of each environment, backed by strong administrative, human resources and logistics support. The project helps immensely to enhance teaching and learning processes in schools and increases students’ and teachers’ activeness as they start feeling themselves as co-authors and co-partners of learning process. These methods are very interesting and effective; it is not a traditional professional development training. These workshops have gathered the best practices we have in local and international pedagogy. Our lessons will be conducted lively and engagingly in the future! If traditional education is based on the “teacher to student” principle and conducted in the form of a lecture with mostly two-three students getting a chance to answer; according to the new system the whole class will be involved, every student will be heard. The Singapore program helps students develop their reasoning skills, as well as logical and innovative thinking. At the same time this system makes teaching more effective, encourages students to be flexible in thinking, initiative and creativity. This study trip (to Singapore) changed us absolutely. We have got lots of interesting ideas we want to implement at our schools and desire to work in a different way. OUR EXPERTISE INCLUDES WORKING WITH GOVERNMENT AND NON-GOVERNMENTAL ORGANISATIONS, ON PROJECTS OF ALL SIZES, IN A VARIETY OF LANGUAGES, IN LITERACY AND NUMERACY, ACROSS A DIVERSE GROUP OF MARKETS. 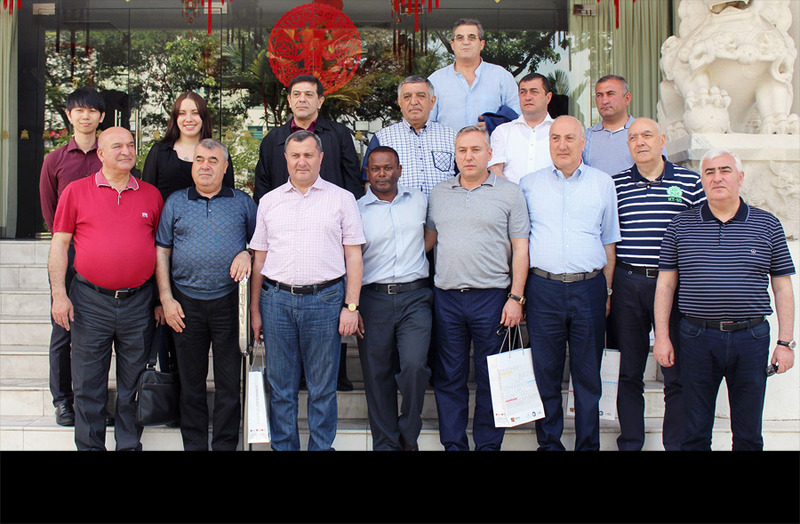 Professor Erezhep Mambetkaziyev, President of KAFU along with three delegates visited Educare. The visit was coordinated by Mr Nurlan Toimbek, Counsellor of the Kazakhstan Embassy. 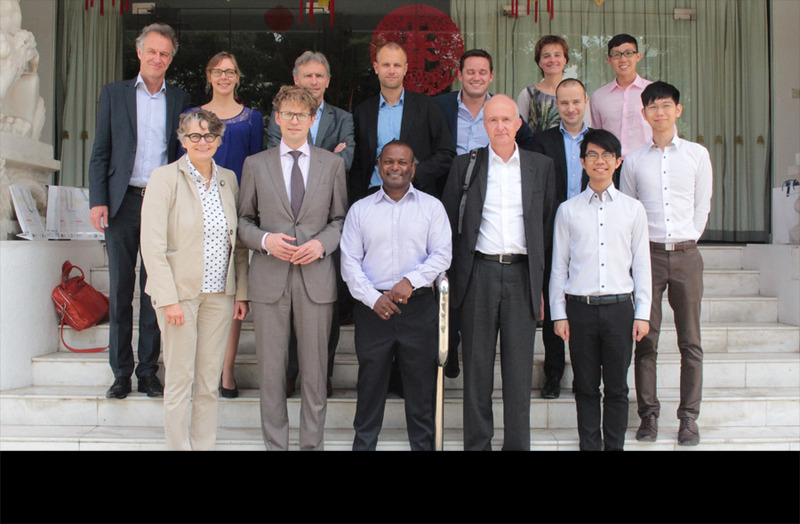 Mr Sander Dekker, State Secretary, Ministry of Education, Culture and Science, from The Netherlands and delegation to understand the services Educare providing and education in Singapore. 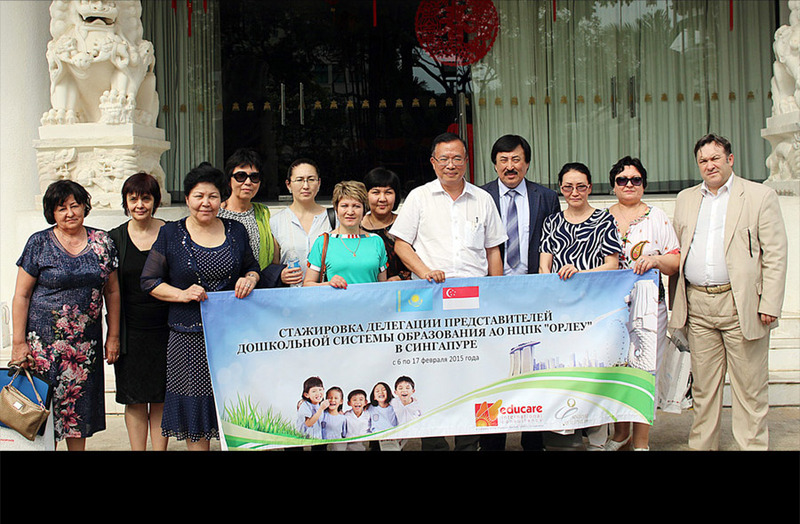 A group of nine delegates led by Mr Karayev Zhaumbay, First Deputy Chairman of the National Professional Development Centre (ORLEU), Republic of Kazakhstan camevisited Singapore to better understand the pre-school education sector. 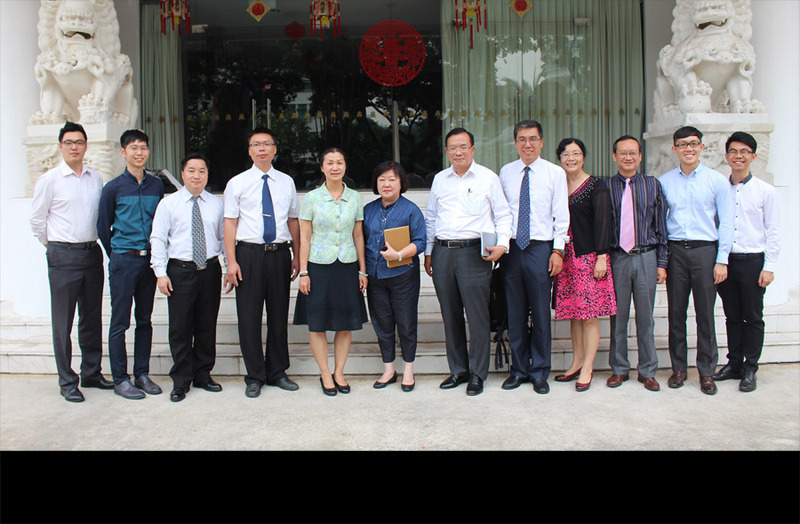 Zhang Zhihong (章志宏 女士), Deputy Director-General, Education Bureau of Nanning City, led a delegation of educators to visit Educare. 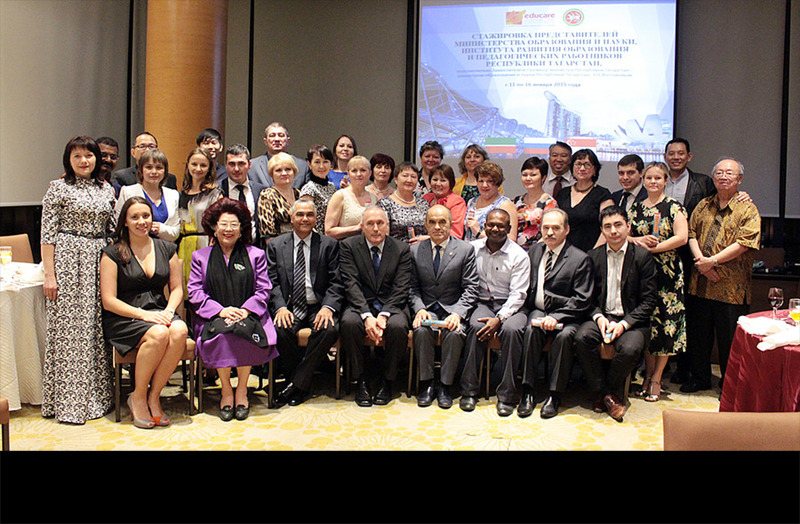 Educare hosted a study trip for the Tatarstan MOES and IED officials, led by Deputy Prime Minister of Tatarstan Dr Engel Fattakhov in Singapore. The holistic programme featured in-depth discourse about the Singapore education system, as well as visits to Singapore schools of all levels. 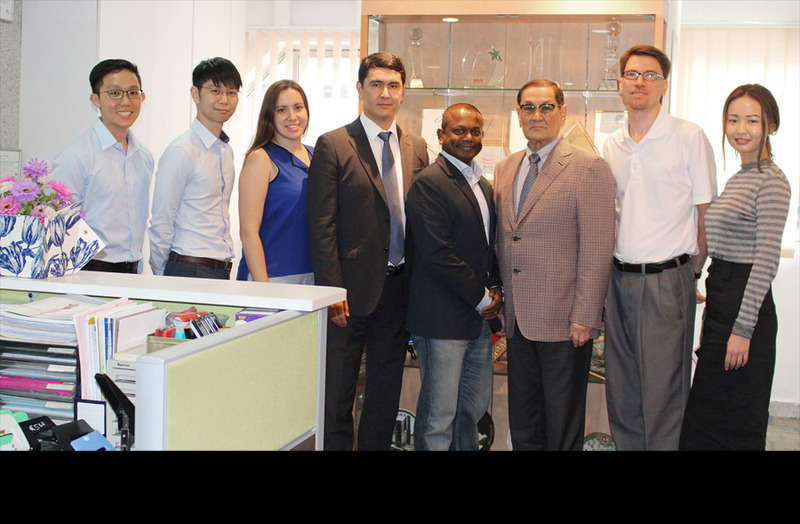 Educare hosted a delegation that comprised officials from Tatarstan Ministry of Education and Science (MOES) and Vocational Education Leaders. The programme consisted of talks on TVET, as well as learning trips to various technical and vocational institutes of Singapore. 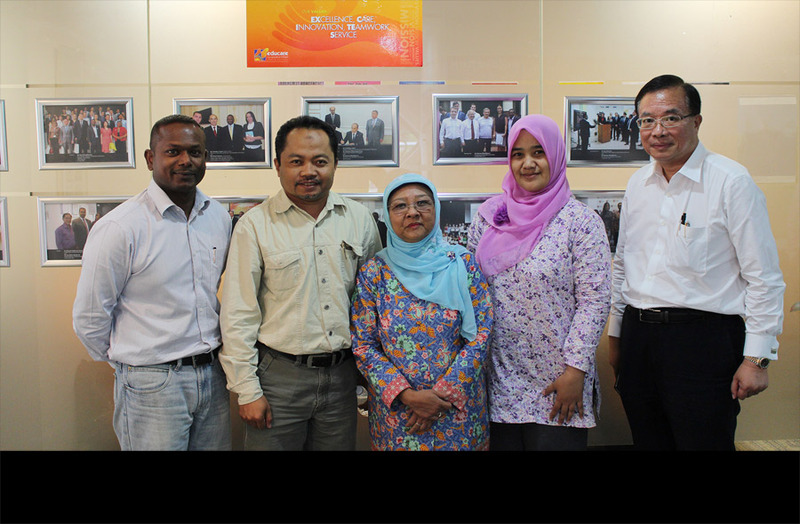 Educare hosted a delegation from Yayasan Pendidikan Soroako (YPS) Indonesia to explore future business opportunities. Mr Tagiyev Tagi, President’s Administration Regional Management and governing body sector’s Chief Advisor, from Azerbaijan, led a 16-member delegation and visited Educare to gain a better understanding of Singapore’s education system and our services. 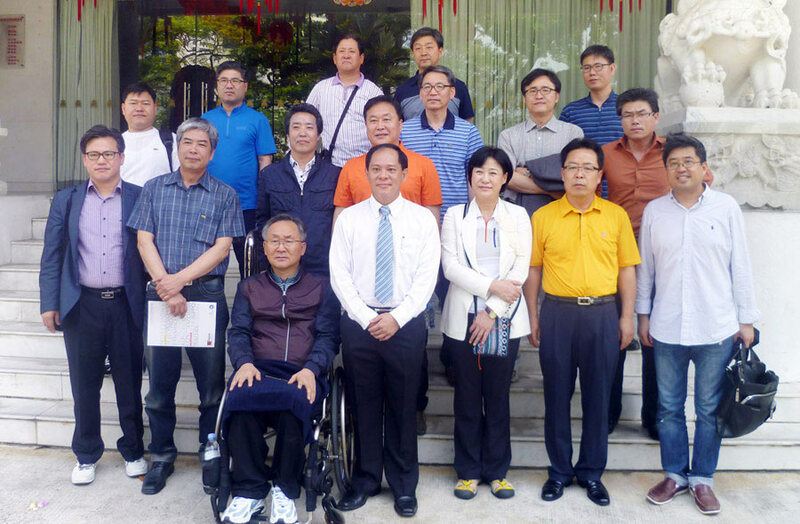 Mr Park In Bum, Chairman of the Education Commission of Gyeonggi Provincial Assembly Republic of Korea, led a 19-member delegation to visit Educare. 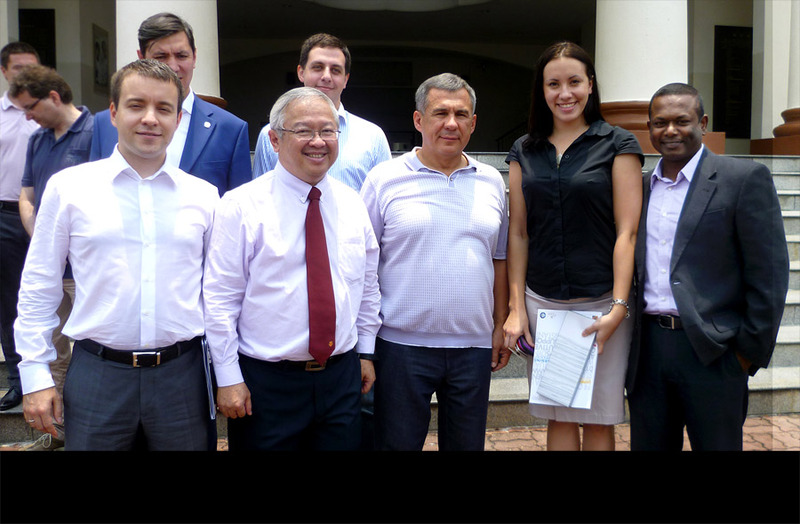 Educare CEO met His Excellency Mr Rustam Minnikhanov, President of the Republic of Tatarstan in Singapore and briefed him on Educare’s professional development work and efforts in Kazan in 2011 and 2012.